Our delicious Pecan Pies are made the old-fashioned way with the same care and attention to detail shown by your mother and grandmother. 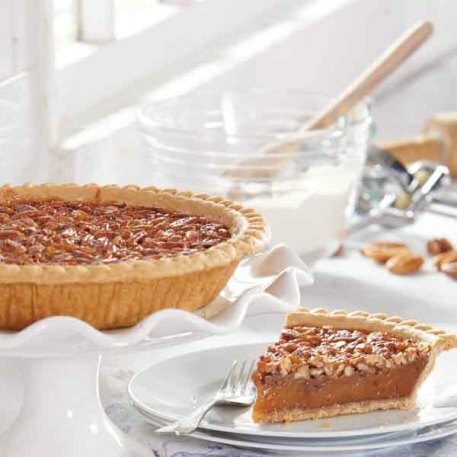 Only the freshest ingredients such as our fresh from the farm pecans, eggs, and a syrup chosen for its sweet, tempting taste are perfectly baked in a made-from-scratch flaky, tasty crust. 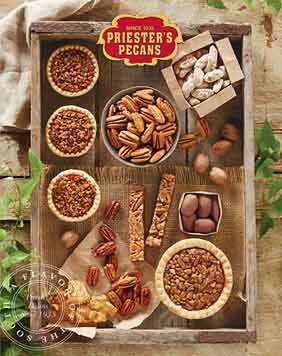 Shipped to your doorstep with special care, your pecan pie is guaranteed to arrive fresh and as beautiful as the day it was made. 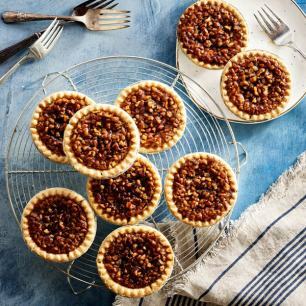 After serving this traditional Southern dessert in your own home, you'll want to send one of these Old-Fashioned Pecan Pies to special friends, relatives, and business associates. 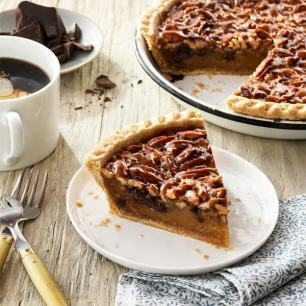 After you've discovered this delightful traditional southern dessert you'll want to share this old-fashioned pecan pie with special friends, relatives, and business associates. Enjoy this wonderful Priester's favorite! These are the best pecan pies anywhere. Very good! Not to sweet, but just right. I rate among the best! Excellent tasting and timely arrival. Delicious!!!!! !